The holidays are an extra reminder that family matters most. And it may seem obvious, but ‘family’ is what’s truly at the heart of ‘family planning’. Not politics or fraught debates. Just family. Being able to plan if, and when, to have children is a crucial starting block for being able to care for your family in the best way you can. It means, in a life full of uncertainties, that parents have a greater ability to invest in their children’s education and nutrition; that mothers can plan enough time between births so that mother and baby are as healthy as possible; and so that a baby on the way is cause for celebration, not concern, and never burden. Our father Tim would have done (and did) anything for his family, and he dedicated his career to helping other families around the world build healthier futures. We chose to work together with Kupona Foundation and CCBRT because we knew that doing so would continue his legacy, and give parents in Tanzania the same opportunity to provide for their families. 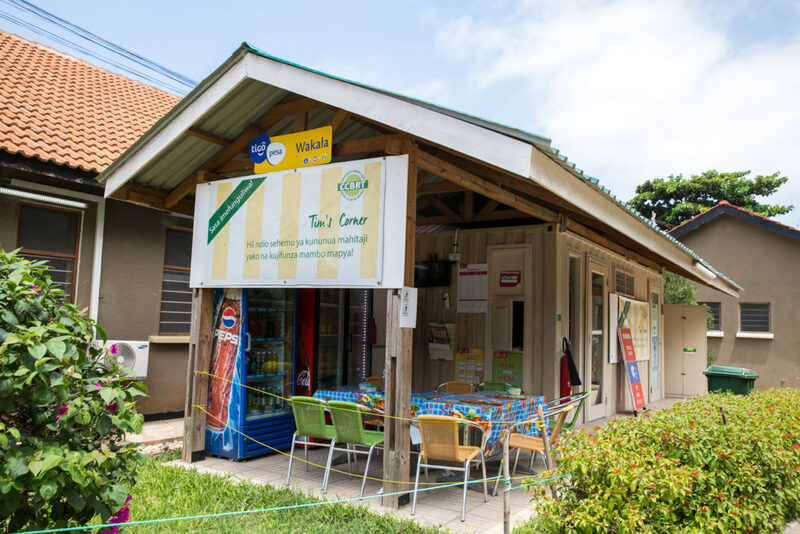 Tim’s Corner is a small kiosk next to CCBRT Disability Hospital in Dar es Salaam, where patients, their families, and other visitors can speak with a trained nurse about family planning, and access the best contraceptive options to suit their reproductive intentions, in a safe and welcoming space. 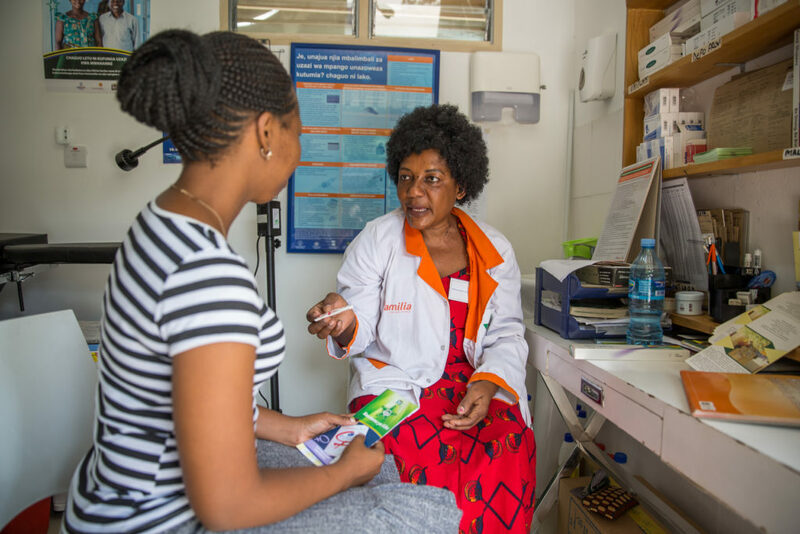 The average Tanzanian earns less than $3 a day, so making these services accessible to everyone is part of our shared vision of making family planning services more equitable. The next step is integrating these services into other programs at CCBRT, including the new Maternity and Newborn Hospital, as well as for women recovering from obstetric fistula repair surgery. We also need to make the services as accessible as possible for adolescent men and women. Reaching high risk groups with contraceptive services can be life-saving. There are many worthy causes deserving of your support this holiday season; we sincerely hope that you will consider giving to Kupona in honor of happy families in a part of the world where poverty poses a daily struggle. Tanzania was our adopted home for more than eight years, and holds a special place in our hearts. 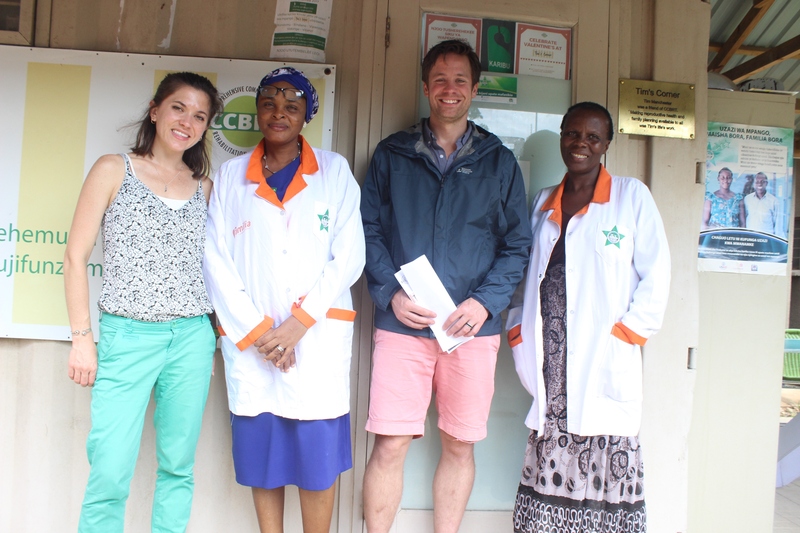 We are so thankful for the amazing staff at CCBRT and Kupona who work so hard to champion this cause. Happy holidays, and thank you for all that you do. There is no better way to grasp the challenges and opportunities in our work than seeing our programs in action. This March, members of our Board were able to do just that. 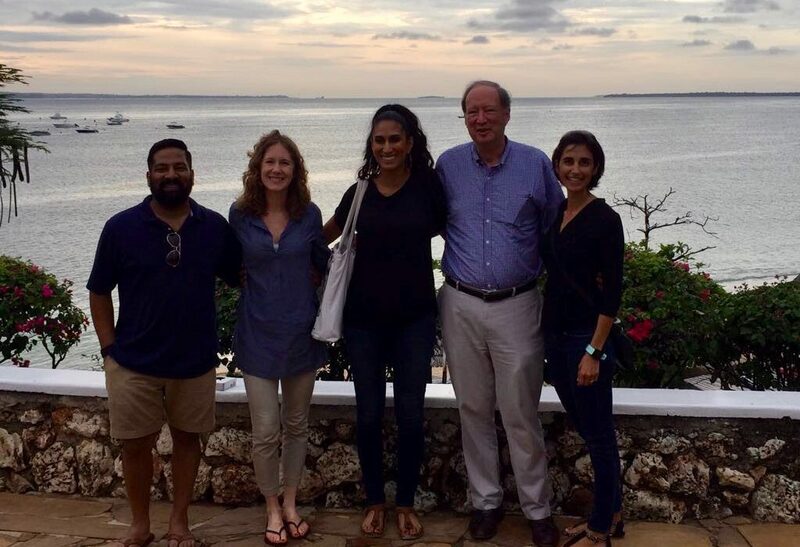 Bob, Mira and Jameel accompanied our Executive Director, Abbey, on her latest trip to Dar es Salaam to see the impact of high quality, accessible healthcare on the lives of the people and communities we serve, and to gain a deeper understanding of the most pressing needs on the ground. Abbey and Bob arrived first, and spent some time deep diving into sustainability at CCBRT – touring CCBRT’s new Private Clinic, learning about the transformation of CCBRT’s Eye Outpatient Department as part of CCBRT’s lean journey, and meeting with CCBRT’s new Technical Advisor for Training and Capacity Building, who will drive forward plans to establish CCBRT’s new training centre. Over the weekend, the team took a fantastic tour of the city with Afriroots. 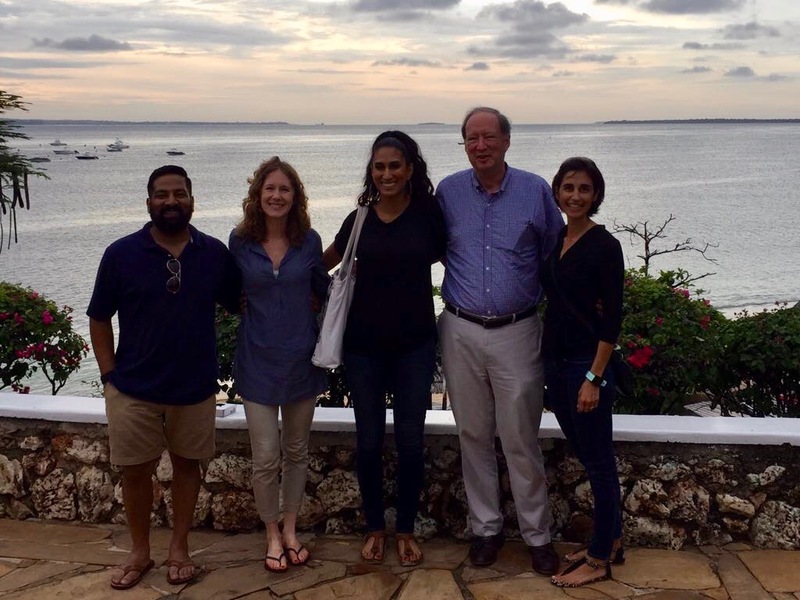 Visiting homes, markets and cafes in local neighborhoods gave Bob, Mira and Jameel an opportunity to see the ‘real’ Dar es Salaam, away from tourist destinations, and get a sense for the challenges that CCBRT’s dedicated staff and clients face every day. 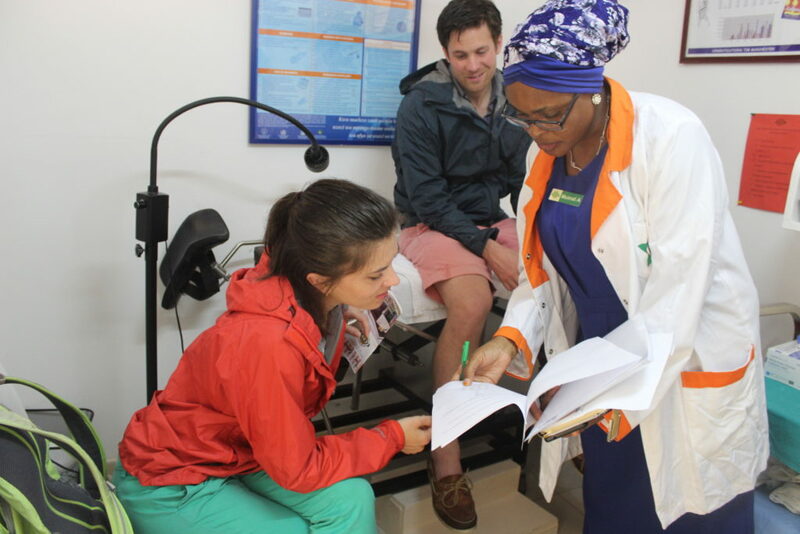 Tours of the CCBRT Disability Hospital, as well as one of the Health Centers where CCBRT is improving the quality of maternal and newborn healthcare, demonstrated the scale and comprehensive nature of our work in Tanzania. 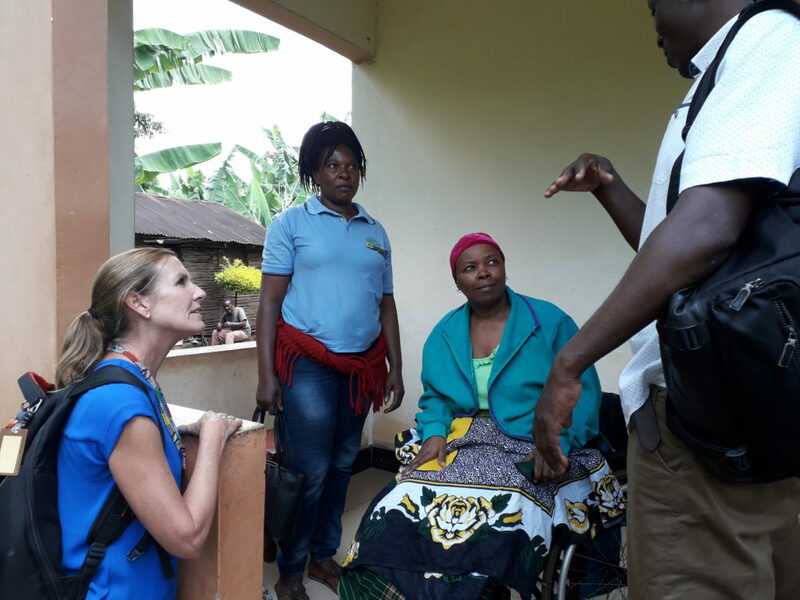 Meetings with clients currently recovering from treatment for obstetric fistula and cleft lip, and receiving artificial limbs from the physical rehabilitation department, showed the impact high quality healthcare has on the lives of the people we serve. Tours of the CCBRT Maternity and Newborn Hospital and the CCBRT Private Clinic construction sites showed the progress of CCBRT’s initiatives to bring quality care closer to the people of Tanzania, and also the scale of CCBRT’s goals for the future. The visit concluded with a trip to The Mabinti Centre, CCBRT’s socioeconomic empowerment project for women recovering from obstetric fistula treatment. 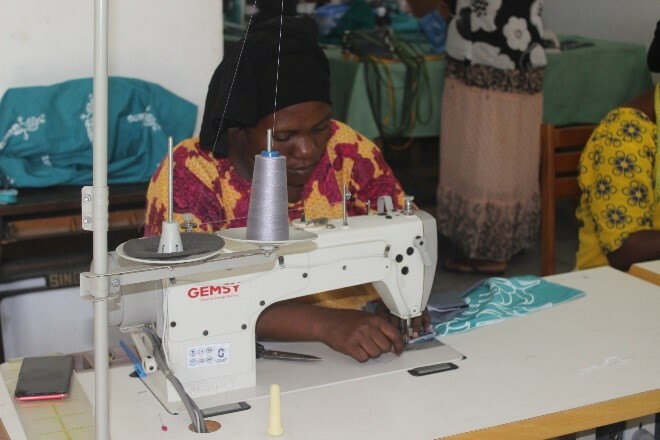 Ladies at the Mabinti Centre have all been treated for obstetric fistula at CCBRT, and are currently undergoing vocational training as they continue their recovery. 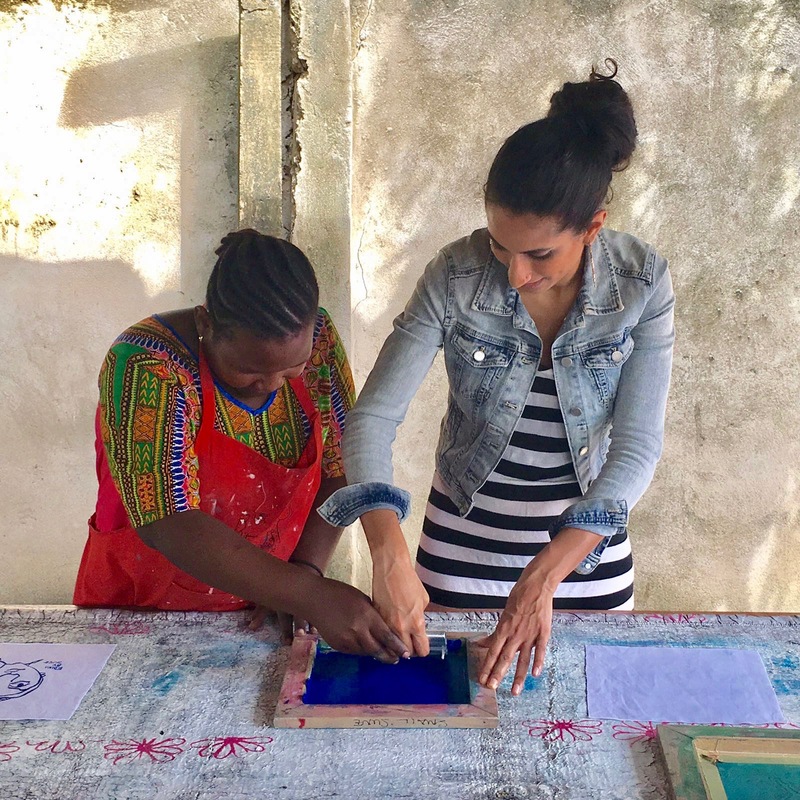 During the visit, Mabinti trainees showcased their latest designs, and passed on the secrets to screen-printing! We are so grateful for our dedicated Board and Advisory Board members, and for the support of our friends and partners who empower CCBRT’s life changing work. If you are interested in visiting our programs in Tanzania, please get in touch. The bridge between disability and maternal health. Hanaa’s story is a case study in the linkage between disability and maternal healthcare. Access to high quality maternal healthcare is the key to disability prevention. With skilled attendance at birth, impairments like obstetric fistula can be avoided, and congenital impairments like cleft lip/palate or clubfoot can be identified and treated in a timely manner. With interventions focused on improving the quality of care available to expectant mothers and their newborns, we can spare patients like Hanaa from the grief of losing a baby and from unimaginable suffering. 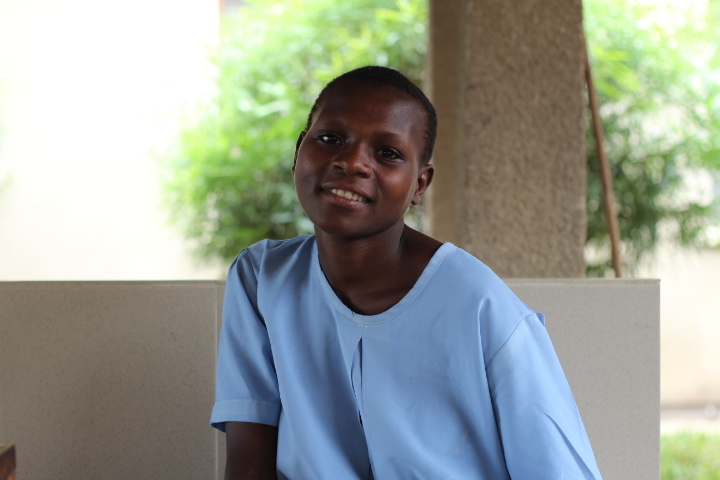 Hanaa was 19-years-old when she developed obstetric fistula. As soon as her labor pains began, she traveled to the nearest healthcare facility to deliver her baby. From there, she was referred to a second hospital, and then a third. Two days after her contractions began, she finally had a C-section. Her baby did not survive. Two weeks later, Hanaa discovered she was leaking urine. Hanaa needed to heal from her C-section before she could be referred to CCBRT for a surgery to repair her fistula. Her doctors sent her home to heal, and for six months she remained indoors so her neighbors wouldn’t know that she was leaking. When Hanaa was finally ready for surgery, a CCBRT ambassador paid for and arranged her transportation to Dar es Salaam. Following her free surgery and comprehensive treatment, this young woman is dry and has hope for her future. 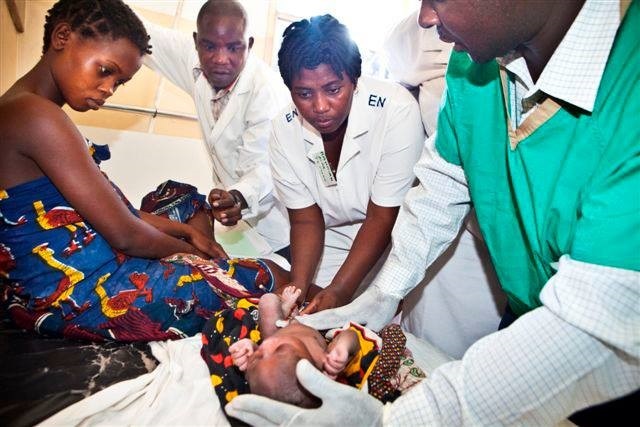 Ten years ago, CCBRT entered into a Public Private Partnership with the Government of Tanzania, joining the fight to improve the quality of maternal and newborn healthcare in the country. 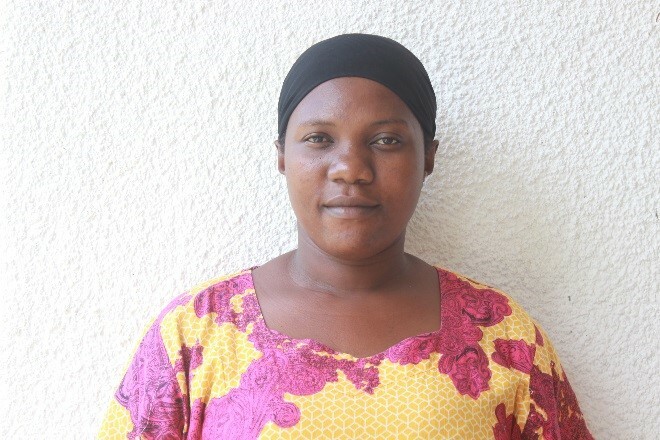 Today, CCBRT’s Maternal & Newborn Healthcare Capacity Building Program works in 23 public healthcare facilities in Dar es Salaam, reaching women like Hanaa with the respectful, quality care they need and deserve. Dar es Salaam is Tanzania’s most populous region, and one of the fastest growing cities in the world. Healthcare facilities are overwhelmed and underequipped to meet demand that shows no sign of abating. By training healthcare workers in key clinical skills and filling critical resource gaps in these facilities, CCBRT is equipping medical teams with the tools they need to identify and prevent impairments like fistula, and also refer newborns like Lita for treatment for conditions like cleft lip/palate, pediatric cataract or clubfoot. CCBRT works with facilities at every level, decongesting regional hospitals that should be focused on emergency and complex cases, and ensuring patients are evenly dispersed and served across the entire regional healthcare system. In 2018, CCBRT will also open the doors to the largest dedicated maternity and newborn hospital in the country. This 200-bed referral hospital will provide high quality care for emergency and high risk cases, as well as dedicated care to sick newborns. The facility will oversee 12,000 deliveries a year. If Hanaa had been able to access a safe C-section without delay, things could have been very different. With high quality, timely emergency obstetric care, conditions like fistula can be prevented, and babies’ lives can be saved. Since 2009, the Kupona community has raised over $3million for CCBRT’s comprehensive programs to identify, treat and prevent disability in Tanzania. 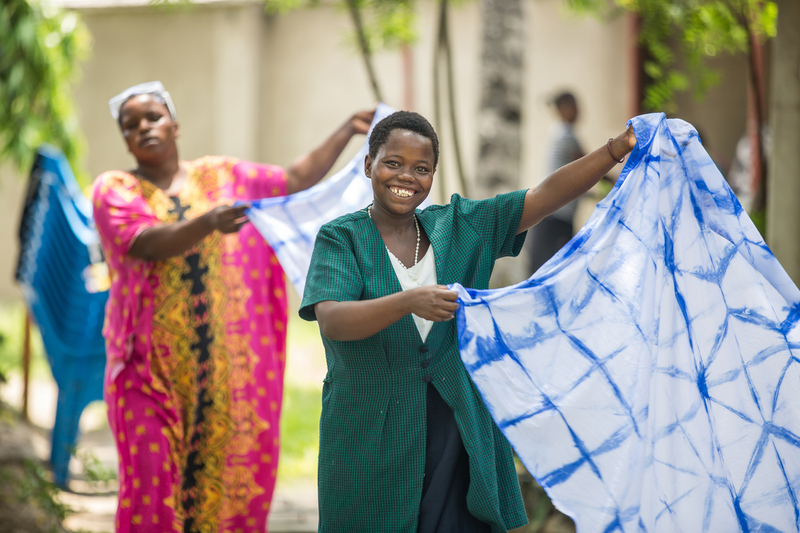 Together, we are making motherhood safer for women in Tanzania, and giving newborns a healthy start in life. We’re celebrating World Health Worker Week! Healthcare workers are the beating heart of any healthcare facility; without trained, motivated staff, services will grind to a halt, and patients will not receive the level of care they need and deserve. 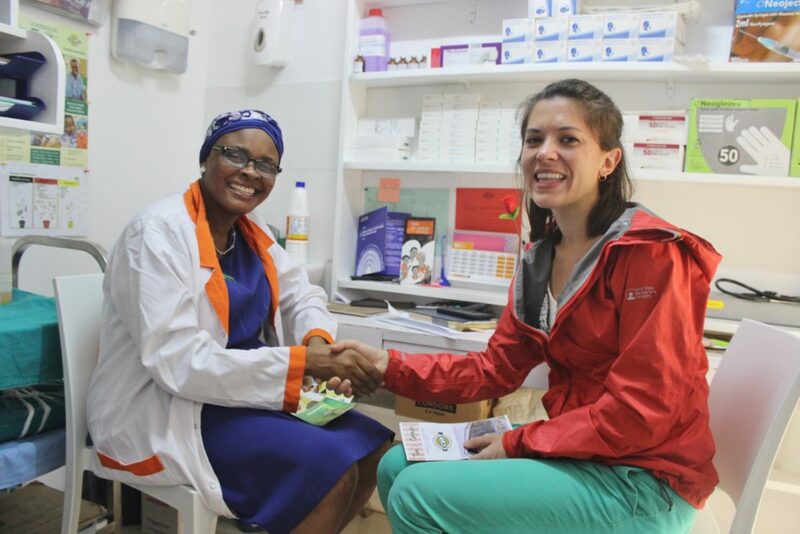 This week, we’re celebrating the healthcare workers at CCBRT, who serve their patients and clients with pride. Meet Rehema. One of the only Prosthetic Eye Technicians in Tanzania, Rehema provides a life changing service to patients who would otherwise face a lifetime of stigma. 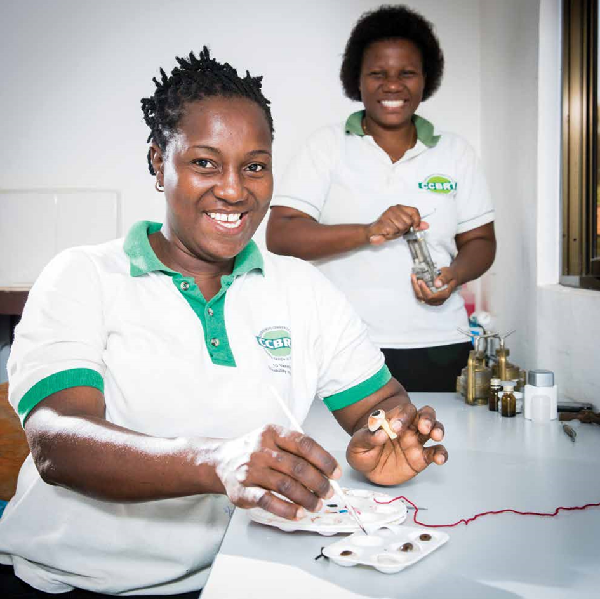 When Rehema first joined the CCBRT team, she didn’t expect to end up working at the cutting edge of rehabilitative care. “In 2005, I joined CCBRT’s team as a cleaner in the hospital. After 2 years, my managers realized I had a positive attitude and a desire to learn. They promoted me to Nurse’s Assistant. I was very excited about this chance; I had always wanted to know more about what the nurses around the hospital did. Then, CCBRT supported my training as an Ophthalmic Assistant, and also supported me through 2 years of nursing school. While I was working in the CCBRT Eye Department, the Doctor In Charge saw that I had artistic talent, and he nominated me to take part in a training course to become a Prosthetic Eye Technician. I felt very lucky to be picked to participate in a program like this and to have the chance to develop my skills. My journey to become a Prosthetic Eye Technician was challenging. My friends told me that I shouldn’t take part in the training because I didn’t know how to make artificial eyes and the smell of the materials I would use would be strange. Then my entire class dropped out of the course, leaving me as the only student. Thankfully, I had a good teacher. Mr. Colin Haylock convinced me that I could help many people in this role, and could provide a service that was desperately needed. It gave me confidence to successfully complete the program. Every year, Mr. Haylock returns to CCBRT to update me on the newest techniques in the field. Since 2009, I’ve worked with my own mentees, to ensure that CCBRT and other health facilities are able to serve the high number of patients seeking artificial eyes across the country. I am happy to change lives. My favorite part of working at CCBRT is helping people who have a disability; Patients come with a sad face and one eye and they leave with two eyes and a smile. Thanks to your support, we can identify people with the potential to change lives, and unlock opportunities for them to learn, grow, and realize their ambitions. 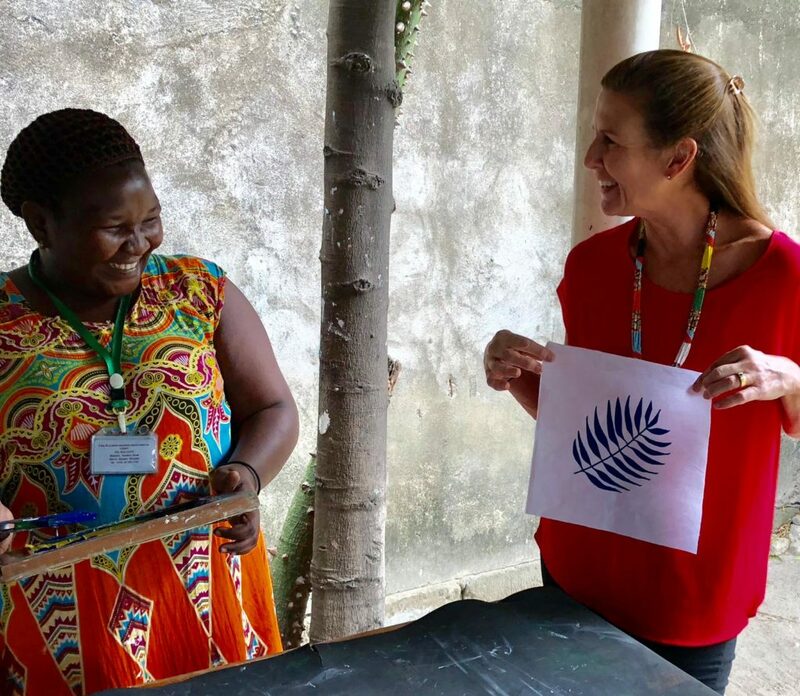 The impact ripples out as people like Rehema, motivated by their work and empowered by their mentors, are able to share their passion and skills with others. Together, we can build a strong workforce with the drive and the knowledge to change lives throughout Tanzania. Thank you for being a part of this journey. Happy Health Worker Week from all of us at Kupona Foundation! 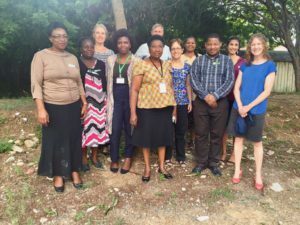 In February 2012, Kupona Board member Dr. Yoni Barnhard visited Amana Hospital in Dar es Salaam, and shared his experiences in a series of blog posts. An American OBGYN, Dr. Barnhard found himself in an overcrowded, under-staffed, under-equipped delivery ward, and reported that, despite the desire to save their patients, the staff at Amana didn’t have the resources they needed to do so. The consequences were often tragic. Four years later, we’ve come a long way from where we started. Thanks to the tireless efforts of CCBRT’s Maternal and Newborn Healthcare team, in close partnership with the Government of Tanzania, Amana is unrecognizable. Kupona donors joined a committed network of supporters and partners including Vodafone Foundation, Global Affairs Canada (GAC – formerly DFATD), and CBM Australia. Today, we see expectant mothers are entering a very different hospital. Dar es Salaam’s healthcare system was designed to support a city of 750,000 people; hospitals and clinics now serve a population of over 4.4 million. Severe overcrowding hampers healthcare workers’ ability to give every patient the attention and quality of care they deserve. When Dr. Barnhard visited Amana 4 years ago, the hospital conducted 2,000 deliveries a month. He counted three nurses helping 41 women in labor. Capacity building and training at smaller pre-referral healthcare facilities across the region means that families now place their trust in a greater number of facilities, decongesting wards at district and regional hospitals and relieving the pressure on healthcare teams. Today, Amana Hospital conducts 1,000 deliveries a month, giving staff more time to focus on each patient and respond efficiently to emergencies. In 2012, the labor wards were so crowded women were delivering five to a bed, or on the floor. Today, more women deliver one to a bed, though there are still space constraints in some of the wards. In 2012, Anna1, a 29-year-old pregnant woman, and mother of 6, arrived at Amana displaying severe preeclampsia symptoms. Her attending healthcare worker ran from room to room borrowing the medication needed to save her life. It wasn’t enough, and she died a few hours later. Anna’s death could have been prevented. Today, eclampsia and emergency kits are readily available, stocked with the medication and supplies needed to avoid preventable tragedies. Today, her 6 other children would still have a mother. 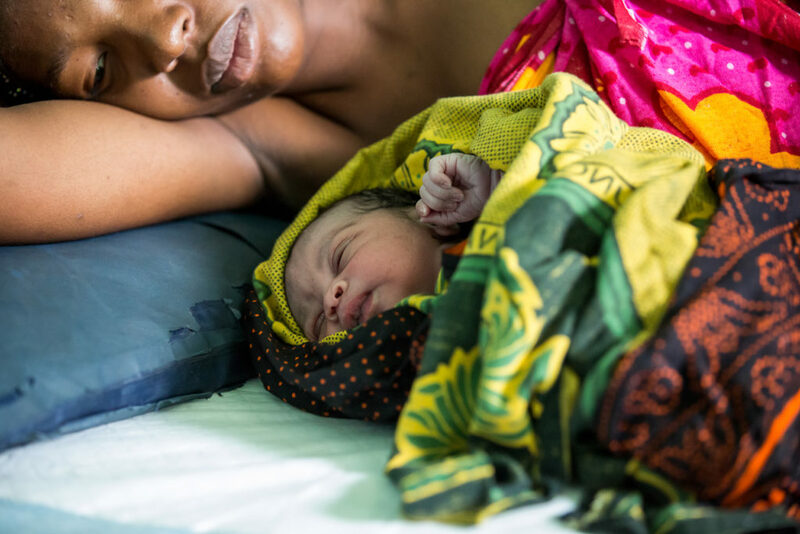 The leading cause of maternal death in Tanzania is post-partum hemorrhaging, and this is unlikely to change without addressing the severe shortages of safe blood supplies. In 2012, little was being done to overcome these challenges. In 2015, CCBRT’s Capacity Building Program began working with the Regional Health Management Team in Dar es Salaam to establish four satellite blood banks, increasing the availability of clean blood in the region. In addition, there are now two full-time OBGYNs at Amana, and training is available for surgical and medical management, giving staff the knowledge to confidently and competently save lives. Improvements2 across the board at Amana mean that staff are equipped, trained, and available to tackle emergency cases, prevent birth injuries like obstetric fistula, and identify and refer newborns with impairments like cleft lip or clubfoot. A healthy child born to a healthy mother is less likely to be caught in the cycle of poverty, and more likely to pursue education and employment later in life. In 2012, Amana Hospital’s delivery ward was a sea of women in all stages of labor, with an overwhelmed staff fighting an uphill battle to treat and save the patients in their charge. 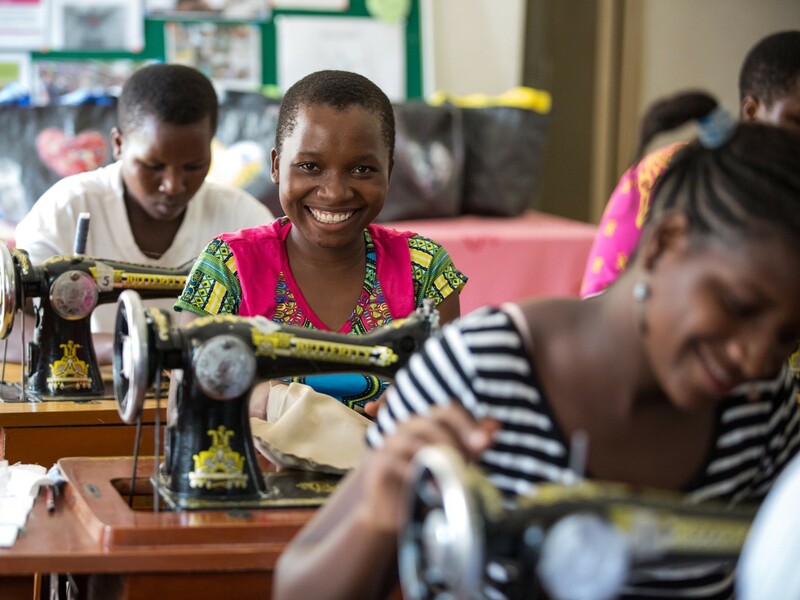 Today, with your support, we are seeing a new reality for the women of Tanzania, and in turn, for their children. There is still room for improvement and growth, particularly in early labor wards which are still crowded. There is also an emerging need for a space where mothers can nurse their sick newborns. However, CCBRT is ready to meet these challenge, spurred on by the success you’ve supported. Four years later, the future for Tanzanian families looks much brighter. Following a recent assessment, Amana achieved 78% of quality standards for Basic Emergency Obstetric Care, compared to a baseline score of 9% in 2010.